Chances are, whoever we are, we already own a little black bootie. But the reality is that no matter how comfortable we may think those booties are, we’d still choose a walking sneaker or slipper if we absolutely were looking for comfort, first and foremost. We always put up with increasing discomfort because we want to look cute. We’re not judging that, but we are offering a solution, and yes, it’s still a cute one! Shop With Us: We Found a Floral Dress for Winter That’s Actually Groundbreaking — And 40% Off! The ABEO Maya Neutral bootie takes comfort into account before anything else, but considering how much we love the bootie’s look, we’d never know. Finding this brand felt like fate. ABEO makes biomechanical footwear, which means its comfort is custom-made for our feet and unmatched by other brands. The signature built-in orthotic and 3D fit of ABEO’s B.I.O.system were designed to target multiple areas of concern, and the shoe’s look was designed to be a fashion statement. The sale price, on the other hand, was designed to be a smile-inducer. 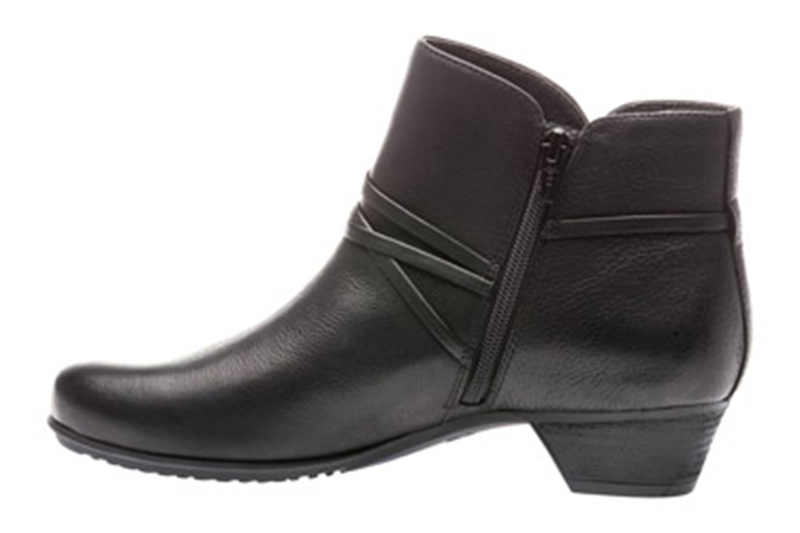 See it: Grab the ABEO Maya Neutral bootie (originally $200) for just $149 from The Walking Company! Shoppers are saying they wish they had found this adorable bootie “years ago.” One called them “the most comfortable boot or shoe” they’d ever worn. That includes sneakers and slippers! That is seriously impressive. Because of this, we’re not surprised that others are reporting on their feet feeling great even after a long day in their Mayas. This Maya bootie may improve our stability, balance weight distribution, lessen foot fatigue and reduce the shock and stress to our joints that we experience just by walking around. On top of all of that, we can choose a footbed that suits us best! The metatarsal pad footbed features enhanced arch support, with “added ball-of-foot metatarsal support.” This is a great choice for those with high arches because it redistributes the weight we put on our feet, taking away all of that nasty pain and pressure we get from wearing flat soles all day. The comfort doesn’t end there. The contoured insole is leather-covered and foam-cushioned so each step will be even lighter than the last. Don’t forget about the upper lining, either, which is made of a breathable fabric to keep us cool. With this level of comfort, people would think we were talking about the ugliest boots on Earth, right? But that’s not the case at all! This boot has a burnished leather upper with thin wrap-around straps, one encircling the ankle and a double-layered one crossing at the top of the forefoot, wrapping around a chic metal loop on the outside. There’s one hiding on the heel, too! While the straps are solely a visual accent, there is also a zipper on the inside of the foot so we can slip our Mayas on and off with ease. The heel on this boot is 1.5 inches high, complementing a quarter-inch platform. The heel is thoughtfully shielded by the outsole, reducing any chips and scratches we might get from rocky roads or uneven sidewalks. Another detail of these ABEO boots we want to point out is the thermoplastic rubber outsole. We might be so comfortable in these shoes that we’ll forget we’re even walking, which leaves us prone to mindlessly slipping and falling. This outsole helps to prevent any disasters by providing traction and flexibility so we can catch ourselves before we fall. Too bad it couldn’t catch us before we fell in love with these boots. Just kidding. This is forever. The best part about these boots is that they come in four colors. Black is a classic, of course, but we can also lighten it up just a little with Charcoal, a smooth, dark grey. We can also choose Dark Brown, a deep, chocolatey color that we almost want to take a bite out of. Last is Port, which is a cranberry-red color with an ombré effect on the almond toe, fading to black at the tip. Every color of the boot has a black heel and sole, as well as the metallic loop hardware. Every color also happens to be on our wish list. We’re so thrilled to have discovered this brand and we can’t wait to try their other styles. We’ll also be anxiously awaiting any new releases. Our toes are tingling with anticipation! 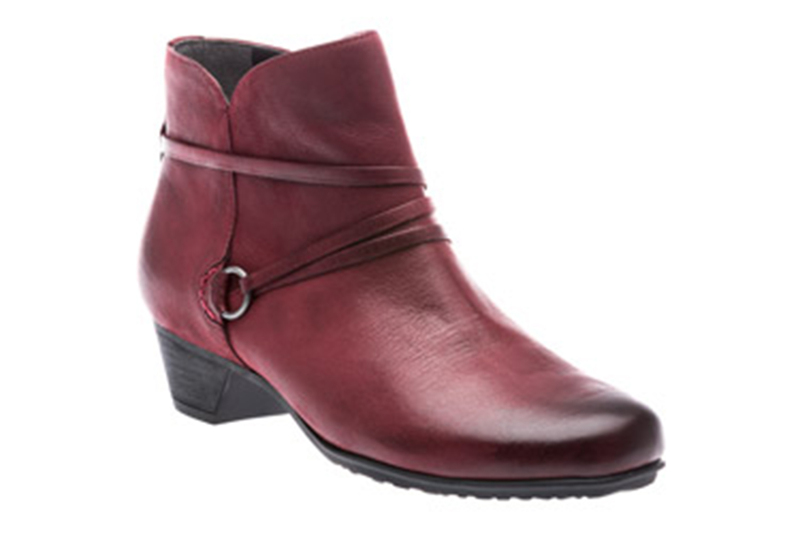 See it: Grab the ABEO Maya Neutral bootie (originally $200) for just $149 from The Walking Company! Not your style? Check out more from ABEO here, and check out other boots and booties from The Walking Company here!